Before November 9th, I thought only important people — -not public school teachers in Brooklyn like me — -could talk to their Members of Congress. I thought the only forms of political engagement available to me were voting on Election Day, making small donations to candidates, reading the news and maybe, attending a protest or two. Before November 9th, I did not know that it was even technically possible to call my representative’s office and speak to a human. 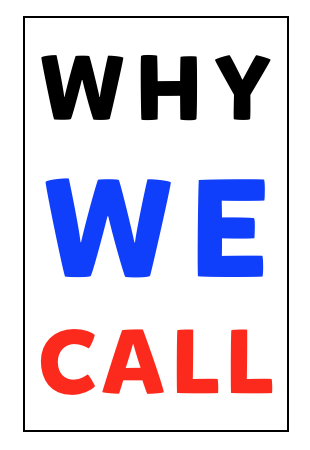 A week after the election, desperate to do something to channel my fear, I found my first calling guide — the instantly viral “We’re His Problem Now” google doc which featured weekly call scripts. I started calling daily. At first, I felt nervous with each call and I stuck to the scripts. Then I got more comfortable. I started improvising, asking questions, and even asking for meetings with my elected officials’ staffers; requests which, to my surprise, were taken seriously. Then, after reading the Indivisible Guide in early December, I joined other new activists and helped found a Brooklyn-based Indivisible group. I started writing call scripts for the group’s Facebook page and helped make meetings with everyone from my member of Congress to our Senators’ staff. Now I call my representatives every single day. I have all of my Senators’ district numbers in my phone. I am not always the most eloquent, but I keep calling. I’ve found myself saying things like “I’m calling because I’m worried about everything” or “I’m calling because what happened today is horrifying.” As a teacher, I get to work well before the Senate and Congressional offices open, which means my first chance to call is usually during lunch or after school, often in the midst of cleaning up kids’ science experiments or feeding the class pets. I get anxious by 4 o’clock if I haven’t called anyone yet. I don’t want to miss my chance to be counted. And I’m not alone. Starting in November, with each new appointment — -from Bannon to Sessions to Pruitt through DeVos — — millions of resisters started picking up their phones and showing up. And we saw results. We got all 48 Democrats and 2 Republicans to vote against Betsy DeVos in a historically contentious confirmation process. Soon after, we got more than 30 Republicans to vote against the first version of the AHCA by the same means. But now, the resistance has a problem: our representatives in the House and in the Senate are not getting enough calls. In the two days after FBI Director Comey’s firing, Chuck Schumer’s NYC office told one of my co-activists that they got only 170 calls demanding an investigation. The staff member we spoke to said this was half as many calls as the Senator would get in a day in January, at the height of the cabinet confirmation process. Schumer is the Minority Leader, the most powerful Democrat in the country. He should be getting thousands of calls about the Russian investigation. Way back in January, we were scared about what Trump MIGHT do. Now we see what he IS doing: threatening our very democracy. He is obstructing justice by firing everyone who is tasked with investigating him, lying compulsively at every turn, tearing apart families through deportation, defunding public health, challenging the independence of the courts, barring the free press from the White House, keeping visitor logs secret, censoring scientists, wasting tax dollars on sham investigations of “voter fraud” with the clear intent of suppressing the vote and undermining our elections, using his position to enrich himself at the expense of the American people, and so, so much more. We need to call MORE than we did in January. And then we need to keep calling. If your representatives are Republicans, they need to know, on a day to day basis, when and if you’re not happy. We need visible, public, and sustained pressure to show the GOP that supporting Trump is a politically untenable position. Call REGULARLY. The key is continued pressure, not reactive spikes in engagement one or two times a month. You can call about the same thing every single day. Every call you make is tallied and put into a report that is given to that representative or senator. Those calls tell the representative that you’re engaged, you’re paying attention, that you will not vote for them ever again if they ignore you and will in fact support whoever runs against them. That is a powerful message. Show up to protests, town halls and their offices. Be VISIBLE, be LOUD, be EVERYWHERE. We need the resistance to dominate the press narratives, not be a sideline. The story on every town hall should be about angry constituents. If your representatives are Democrats, they also need to hear from you. Call REGULARLY. Ask your reps to do more. Your demands are fuel for their fire: your calls give them license to obstruct, confront, boycott — -whatever they need to do to be bold, oppose Trump’s corruption and fight like there’s no tomorrow. Say thank you! Your gratitude is their armor. According to her staff, Senator Gillibrand, hero of the resistance, brings stacks of constituent letters to the Senate floor with her as proof of what New Yorkers want. The same is true for calls. Show up to protests, town halls, and offices even if you live in the bluest of districts. When your Democratic representative gets hundreds or even thousands of calls on an issue, when they see people showing up in the streets to demand an investigation or fight Trumpcare, it helps them prioritize what is most urgent out of a million pressing issues. There ARE SO MANY ISSUES. Help them choose. Call your friends and family in red districts. We ALL have them. Make political engagement part of your social and family life. No one who still understands what a fact is gets to sit this one out. We need all hands on deck. Calls only work if we keep on making them. Members of Congress are not mind readers. If you want them to truly represent you, you need to call them and tell them what you think. You need to show them how you feel and what your concerns are about this administration. Every chance you get. There are already several Republicans voicing apprehensions about Comey’s firing and Trump’s fitness as president. John McCain has supported an independent investigation for months. Susan Collins is “considering” asking for a special prosecutor. Richard Burr is “concerned.” This is the moment. We need to keep calling and keep showing up in order to convince a few of those concerned Republicans that Trump is a sinking ship that they must abandon. This is not going to fix itself. There is no such thing anymore as not “being political.” Silence is approval. When the phone lines are quiet and the streets are empty, that tells lawmakers that their constituents aren’t worried and they don’t need to take action. But we are worried. And they must act. Don’t be silent. Don’t approve. We are Brooklyn residents working together to defend democracy and human dignity, shine a light on corruption, resist hate and injustice, and love and protect our neighbors from harm posed by the Trump Administration.